2018 is almost over, and it is also an end of Heisei era in Japan. Japan is the only country in the world still using Chinese-style imperial calendars. It is “2018” for the rest of the world, but in Japan it is Heisei 30, or 30 years into Akihito’s reign. While the Gregorian calendar is widely used in Japan since 1873, imperial dates feature on government documents, newspapers, and commercial calendars. The Japanese date system of designating years as era names based on the reign of Emperors still remains in place and runs concurrently along with the Gregorian system. Each Emperor is designated an era name (gengō) which commences the day the Emperor ascends to the throne and ends on the day of the Emperor’s death. When an Emperor dies mid-year, that year can therefore have two names. The year 1989, for example, can historically be referred to as “Shōwa 64” or “Heisei 1” as Emperor Shōwa passed away on January 7th during the 64th year of his reign. However, specific events that fall on a set date can only have one year. If you were born between January 1st and 7th 1989, for example, you would say you were born in Shōwa 64 and any date after that, Heisei 1. It means that the year 2019 will have two names: “Heisei 31” and the new era name. 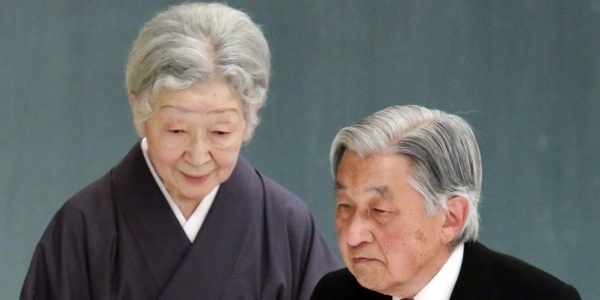 In December 2017, it was officially announced that Emperor Akihito will abdicate the throne on April 30, 2019 and his son, Crown Prince Naruhito will immediately succeed him on May 1, 2019. This is the first time that the Emperor abdicating the throne in modern Japan’s history, the last being 200 years ago. In fact, as per Article 4 of current Imperial Household Law, the throne may only be succeeded upon the current Emperor’s passing. Emperor Akihito, who is now in his 80s and been Emperor of Japan since his father Emperor Hirohito, passed away in 1989, expressed his desire to retire via a television address to the nation in August 2016, citing his declining health over recent years and worry over being able to continue with his duties, all be they largely ceremonial. In response to the Emperor’s wishes and support from the nation, a special one-off law was granted allowing Emperor Akihito to abdicate. The name of the new era has yet to be released. The Japanese government will begin preparations for the change of era names on the assumption the new one will be announced about a month ahead of the new emperor’s ascension. Under usual circumstances, the new era name is only released on its first day; for example, the day after the Emperor’s passing. For this reason, it would be considered very impolite to publicly anticipate the passing of the country’s figurehead ahead of time. Have a wonderful month, and Merry Christmas! !